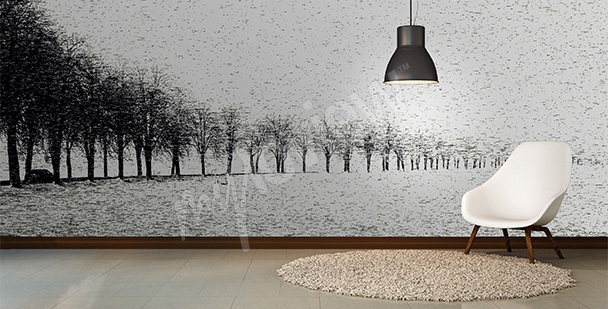 Black and white wall murals are a universal and timeless decoration, that is characterised by its imperishable charm. Minimalistic photos of architecture, nature and animals look great both in ultra-modern living rooms, and in vintage-styled interiors. 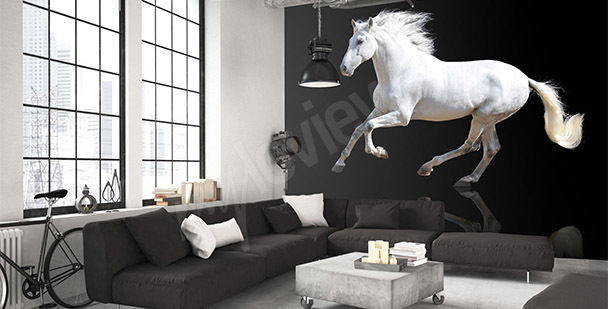 Black-and-white wall murals can be placed in various arrangements, and that’s what makes them so popular. 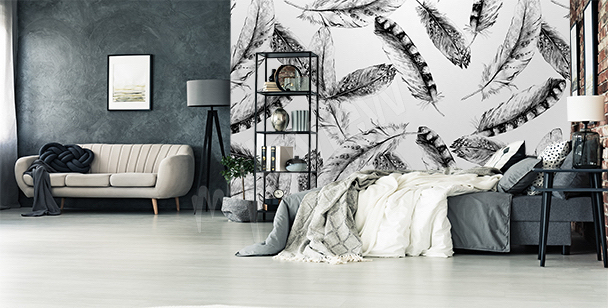 No matter if you prefer a toned-down look or a room full of colors, industrial or romantic style - black and white wallpapers are always a perfect solution. 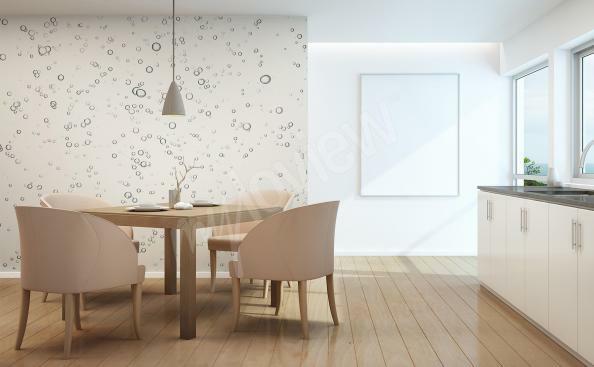 An abstract graphic motif in a monochromatic version will become an intriguing decorative element of a classic interior. 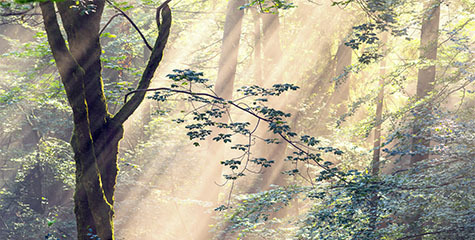 A delicate motif of trees will fit perfectly in a Scandinavian-styled interior. A wallpaper with a tiger is a bold option dedicated to modern space arrangements. A minimalistic zebra print will improve the look of a front hall or a spacious living room. 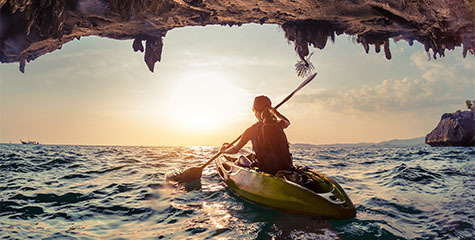 A classic macro-photography will add elegance to every interior. Apply it to a single wall or its fragment. Black and white stripes on a bedroom wall are a classic but quite impressive decorative solution. 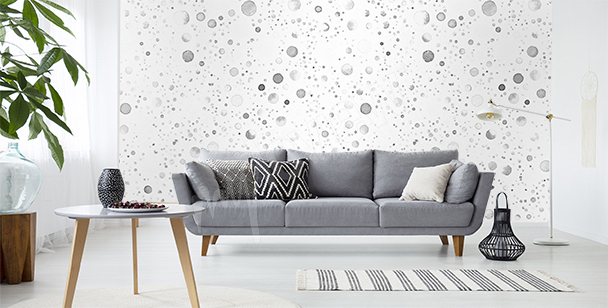 A spatial landscape on a black and white mural will help optically increase the size of a small interior. 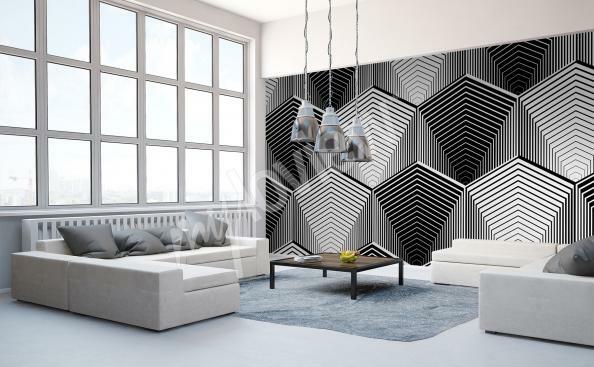 A hypnotizing motif on a 3D mural will complement a pop art styled interior. It is sure to appeal to teenagers’ taste. 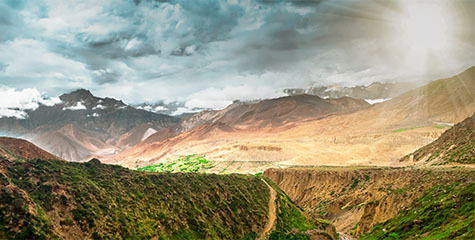 A landscape in a monochromatic version will be a universal decoration of an eclectic living room. 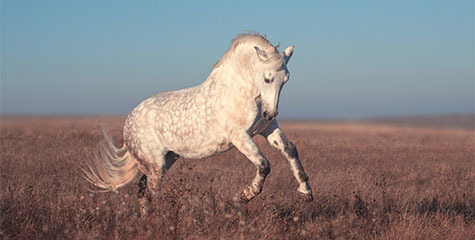 An artistic photography of a galloping white horse will fit nicely with other elements of a modern interior. 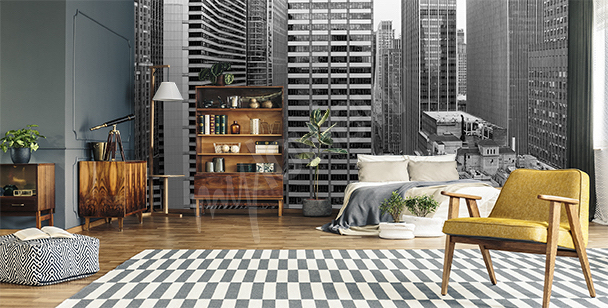 Black and white image of a city panorama is a great way to decorate your space. Architecture, no matter if it represents classic buildings of glassed skyscrapers, is always a very stylish addition. 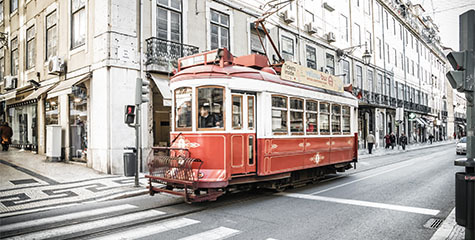 If you’re a lover of retro style, then black and white street wallpapers depicting old school metropolises will be a great solution. 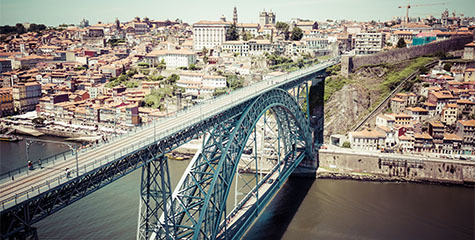 Images of famous places in Paris, New York or London from 20, 30 or 50 years ago, will create a sentimental vintage atmosphere, that will harmonize with antique furniture. 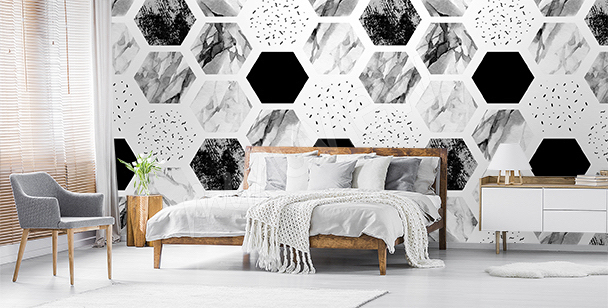 If you appreciate a modern minimalism, simple furniture with geometric forms and toned-down colors, a black and white mural with a glassed skyscraper will be perfect for your interior. 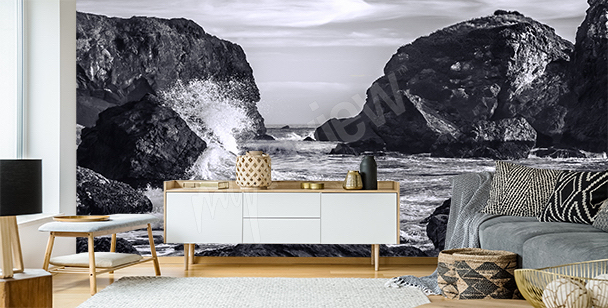 For all lovers of avant-garde and creative solutions, we offer black and white wallpapers with depiction of antique monuments of Greece and old Roman Empire. An interesting combination of modernity and minimalism, and classic architecture, will create a unique interior full of inspiring contrasts. Black and white is a classic combination of colors. But, if you wish to add some life to your monochromatic interior, it’s worth to introduce one intensive color accent, that will make your design look more expressive. A great offer are black and white red wall murals with an image of New York streets and characteristic yellow cabs, or the Eiffel Tower with a couple in love holding a red umbrella. 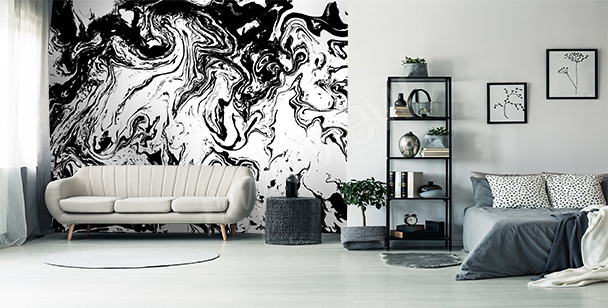 If in the interior already has some colorful accessories, a black and white red wall mural should harmonize with them to avoid the sense of chaos. A modern, industrial interior is a great place for black and white wallpapers with geometric, abstract patterns. 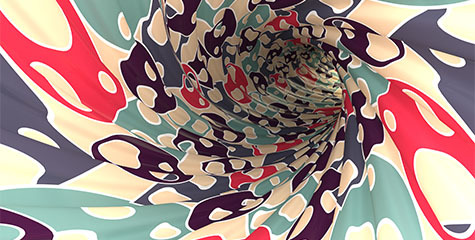 Original designs with a repetitive pattern will be a great background for characteristic elements of decor. Metal, chromed furniture details, copper lamps hanging from the ceiling, or exposed pipes and tubes painted with expressive colors will look great not only with a non-plastered concrete wall. Black and white wallpaper will be an original and unconventional solution and thank to that we won’t need any additional decorations. Teenagers’ taste changes extremely fast. One day they love something just to see it as unfashionable, unattractive and boring the next. 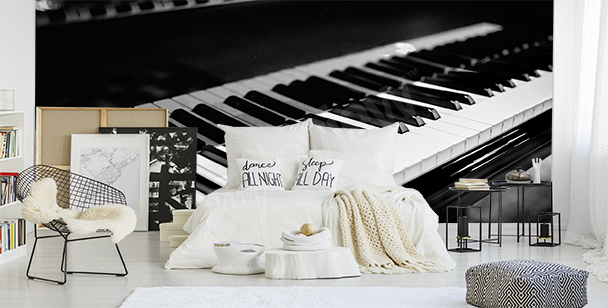 To avoid needing to constantly change their room décor, it’s worth to select universal and timeless designs. Black and white world map mural or the ones with slogans, quotes or aphorisms will be a perfect choice. Moreover, a monochromatic decoration will fit every decor, no matter which style dominates the interior. The best choice for a bedroom are atmospheric designs, which reminds us of frames from romantic movies or masterpieces of the Old Masters. 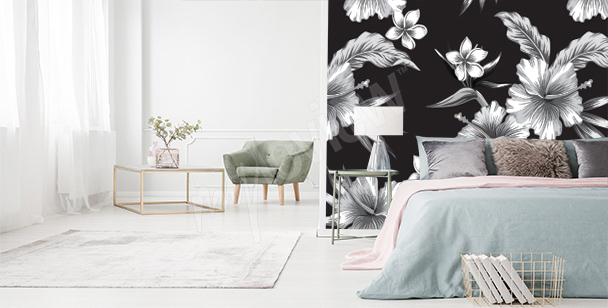 Black and white rose wall mural will be a great choice. On the other hand, graphics with Rome or Venice will fit modern interiors, as well as the classic, retro ones. If your bedroom is dominated by shades of grey, black and white red wall mural will make it look more expressive and friendly. If you’re arranging a small bathroom, you can make it seem bigger by selecting a black-and-white murals with an abstract 3D motif. 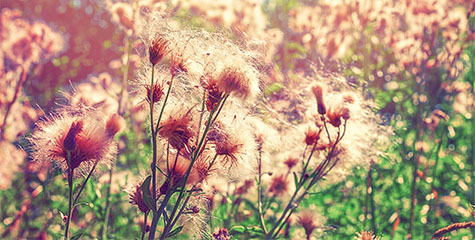 If you don’t need such tricks, it’s worth to choose black and white wallpapers with macro photography of flowers. Monochromatic pictures of plants, that emphasize their details like stamen or leaf structures, will create original interior of an exceptional beauty.